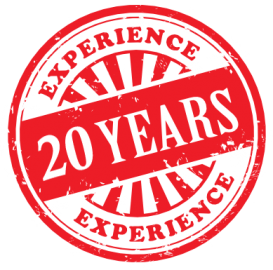 20 years experience in refrigeration and postharvest cooling solutions. in the design, installation and operation of commercial refrigeration. QUIKCOOL’s principals have over 20 years’ experience in the design, installation and operation of commercial refrigeration and postharvest cooling solutions. The Quik-Cool story began with the vacuum cooling range of products used in postharvest cooling. The QUIKCOOL business was purchased from the original owners in 2005. Since that date the range and design of vacuum coolers and hydro coolers has been expanded and improved. The QUIKCOOl vacuum coolers are now sold through Australia and overseas to give farmers the edge in postharvest cooling. Quikcool began in Australia. Its principle sales, design and engineering team are located in Adelaide, South Australia. As the business has grown and to ensure their product is competitive QuikCool have setup manufacturing in China and established a sales office in Shanghai China to service the Asian region. To ensure their product is competitive they have setup postharvest cooling manufacturing in China. Sales office is in Shanghai China. Postharvest cooling research for a better world. In 2008 QUIKCOOL began working with the Barbara Hardy Institute University of South Australia to develop alternative products for the commercial and industrial refrigeration markets and postharvest cooling solutions. The pressure of rising electricity costs and the additional requirement to reduce environmentally harmful refrigerants encouraged the team to look at solutions to resolve those issues. As a result of the research and development in postharvest cooling solutions QUIKCOOL have developed a number of glycol type chilling and thermal storage solutions that work with the traditional postharvest cooling systems to reduce energy costs and minimise harmful synthetic refrigerants. Improving the industry through Postharvest Cooling. The team at QUIKCOOL are continually looking for innovative systems and products to improve their performance of commercial and industrial refrigeration systems and postharvest cooling solutions. QUIKCOOL’s team works with refrigeration service and installation businesses helping them with the design and engineering. See what our customers have to say about postharvest cooling.